SEATTLE – If you’re looking for a stock tip, I have just the one. It trades as CPRC, short for Chris Petersen Recruiting Classes. Somehow, CPRC seems to go up every year. Given Petersen and his staff’s approach to the recruiting process, it doesn’t seem to be in danger of crashing. Two years later, he had the 29th-best class with seven four-star recruits. In 2017, it was the 22nd-best class with nine four-stars. Last year, it was 16th with 10 four stars. As of Wednesday, he had the 15th-best class for the 2019 season with 12 four-star guys. Still, it’s hard to argue that the raw talent UW is attracting isn’t getting better and better. Given what the coaching staff has done with previous classes, that has to be a daunting thing for the Pac-12. After the Huskies beat Utah in the conference title game last month, safety Taylor Rapp proudly noted how he has been to either a New Year’s Six bowl or College Football Playoff game in all three of his years at Washington. Rapp, like any of the Huskies’ upperclassmen, wasn’t part of those top-20 recruiting classes. Any NASCAR crew chief will tell you that the better your equipment, the faster your car. The Huskies seem to get parts upgrades every signing day. As of Wednesday, there were 20 players who had signed with Washington for the 2019 season. But what’s nuts is the Huskies only offered 91 scholarships, which was the third lowest among Power 5 schools. The average number of offers was 232. Tennessee made 440, five other schools made more than 400, and Oregon led the Pac-12 with 335. This could be happening with four-star safety Asa Turner, who was expected to ink his letter of intent Wednesday but hit the brakes during the signing ceremony at his high school. 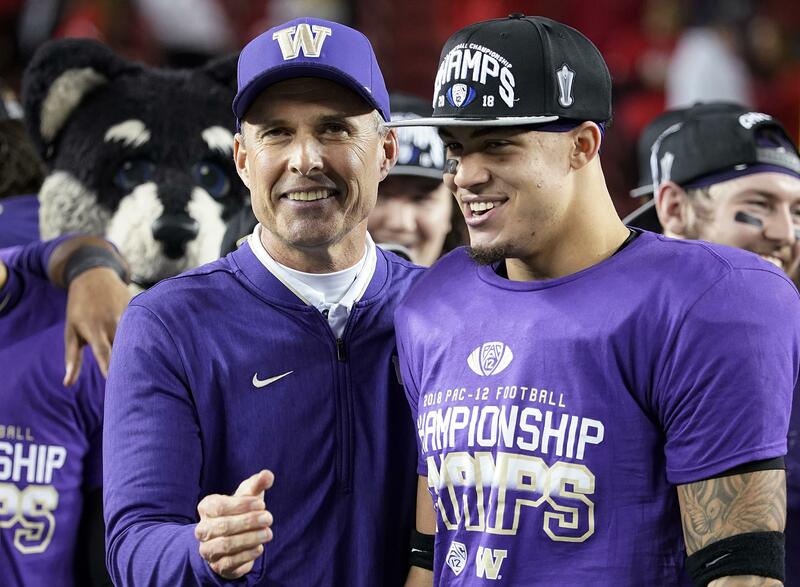 He still could end up being at Washington, but the fact that this type of drama is so rare among Huskies speaks to Petersen’s approach. In less than two weeks, the Huskies will take on Ohio State in the Rose Bowl. It will mark the first time Washington has been in Pasadena, California, on New Year’s Day in 18 years. Published: Dec. 20, 2018, 3:11 p.m. Updated: Dec. 20, 2018, 5:16 p.m.